Needing freezer repair is nothing to joke about! Hundreds of pounds of mom’s pasta sauce, dad’s elk, and grandma’s pies, are in jeopardy! Your freezer, whether it is freestanding, a chest freezer, or the freezer in your refrigerator, needs to be addressed quickly, and repaired professionally, and skillfully. Our service vehicles carry as many parts as it can hold. We also have a shop warehouse so we can have more parts on hand to get the job done right away. Many of our competitors carry few parts and order them as they go about their day. 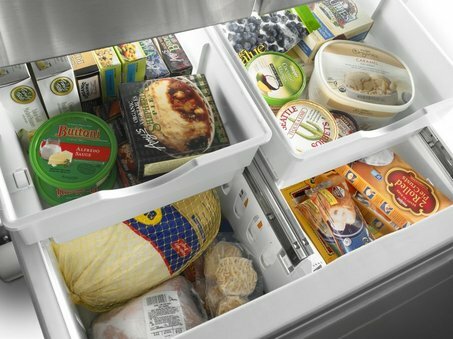 Can your freezer wait a day, two days, a week to be repaired? or any other freezer repair issues, give us a call today! We service most all brands of household freezers and refrigerators, in warranty and out. Under manufacturer’s warranty? Just ask! So if your ice cream feels soft, do not wait! Call for service today or schedule right here online. We are here to help!